It’s the end of the July and the middle of a beautiful prairie summer. Many leaders are starting to think about preparing for mid-year performance reviews or have recently completed them with their employees. I am a firm believe that meaningful performance conversations do actually have value. A lot of leaders find providing meaningful feedback challenging and uncomfortable. 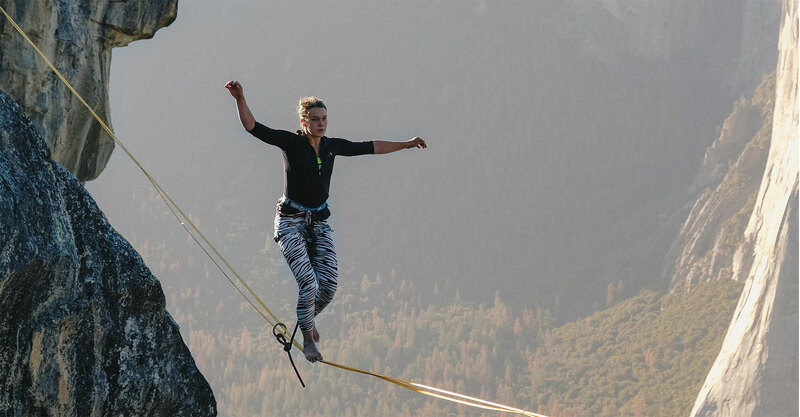 It can feel like trying to get from one side of a canyon to the other on tightrope, wondering where you might trip up and fall or make a mistake in sharing. Unlike the Golden Rule that says we should do unto others, as you would have them to unto you, the Titanium Rule says we should do unto others, as they would like you to do. In the context of giving feedback, it means that we need to observe and understand what is important to the employee or team receiving the feedback. This helps a leader provide feedback in a way that is clear and meaningful. You may prefer to have a very structured conversation because it helps you get your points across, but your employee may be more receptive to a more casual conversation where they can feel relaxed, share their thoughts and hear yours. Understand and use what works for receiver of your feedback. Many of us are guilty of listening to respond. We are often already thinking about our response before the other person has finished speaking. When we listen to understand and not to respond or what some call reflective listening, we are forced to slow down and hear the words being spoken. What is the person really trying to say? Are there subtleties that need to be questioned and explored further? I have at times literally pressed my lips together to remind myself to not speak, but to continue listening – it’s hard! Even if you disagree or feel challenged by what you are hearing, let the person finish what they have to share. Being heard and validated is an easy gift you can give to your employees and it builds relationships. When you listen to understand, they will likely be more open to hear what you are sharing with them, both good and bad. What message do you want your employee to leave the conversation with? Good work? Need to do better in specific areas? What’s the impact (not outcome) you want to have on your employee? To inspire? To encourage? What’s the best way you know of to create that impact? Praise and validation? More assignments, etc.? What would a Compassionately Blunt™ (I care enough to be authentic and truthful to you for good) approach look like if you were to use it? Showing care, paying attention by listening and being yourself in service to your employees will serve you well as leader in giving meaningful feedback. Pauline Greenidge is an HR Consultant and Chartered Professional in Human Resources. She empowers others to create positive employee experiences. 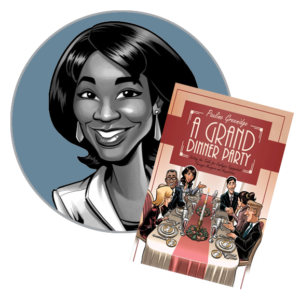 Her book A Grand Dinner Party is available on Amazon.com and Amazon.ca.